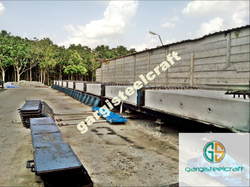 Providing you the best range of precast shuttering formwork mould with effective & timely delivery. We are a versatile company in the respective field successfully engaged in providing an excellent quality array of Precast Shuttering Formwork Mould. Our highly experienced professional's design and construct these wall panels using quality approved concrete and other ingredients in order to ensure their strong nature. Featured with the durable coating, these panels are used for covering walls for their protection purpose. In order to meet varying demands of clients, these panels are provided at market leading prices. No. 5/B, Amba Estate, Opposite Chhash Kendra Vinzol Patiya, G. I. D. C.